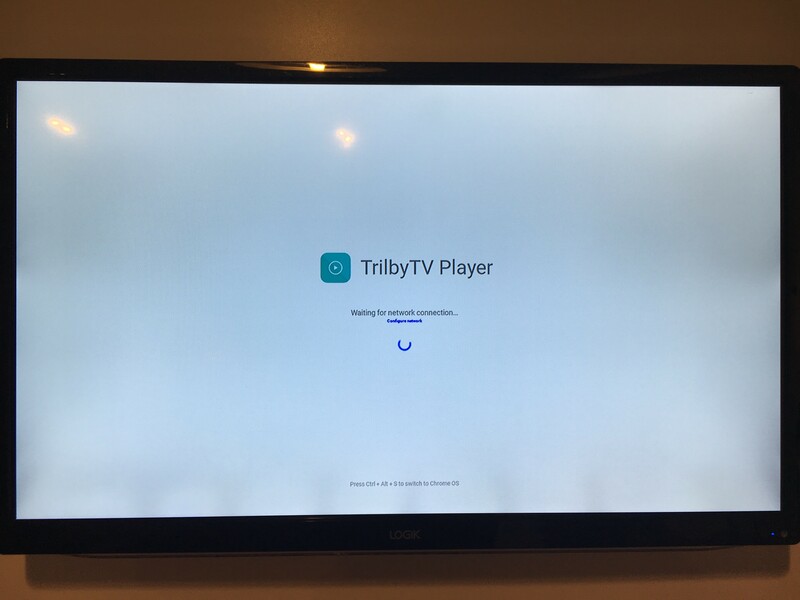 TrilbyTV Player for ChromeOS is designed to work in offline mode when an internet connection has been lost. However, it requires an internet connection to begin playback so that caching of content can begin. If your ChromeOS device cannot connect to a wireless network when it powers on, you may see the screen shown below and the message “Waiting to for network connection”. The ChromeOS device may not automatically reconnect to your network when it becomes available. For more information on supported wireless networks, see the ChromeBook help pages. You may also need to allow the device to access TrilbyTV through your network by whitelisting or allowing certain ports.